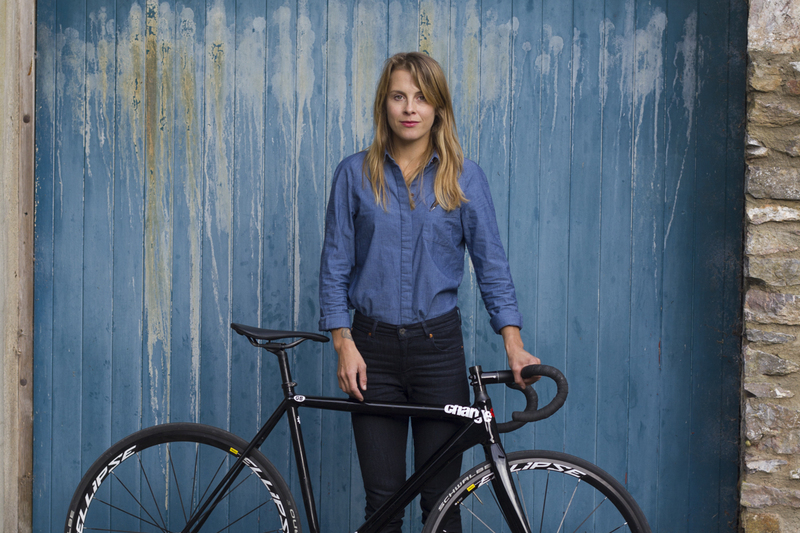 The Levi’s Commuter line has been around for a while now – I remember when the collection was first stocked at the now defunct Tokyo Fixed store in Soho, sometime around 2011 at a guess. At the time, I couldn’t quite make out what made the jeans any different to regular ones – they hadn’t done away with all the seams on the crotch area like Swrve did, so what was the point? Surely that’s the most uncomfortable area when cycling in jeans and the first thing to address? 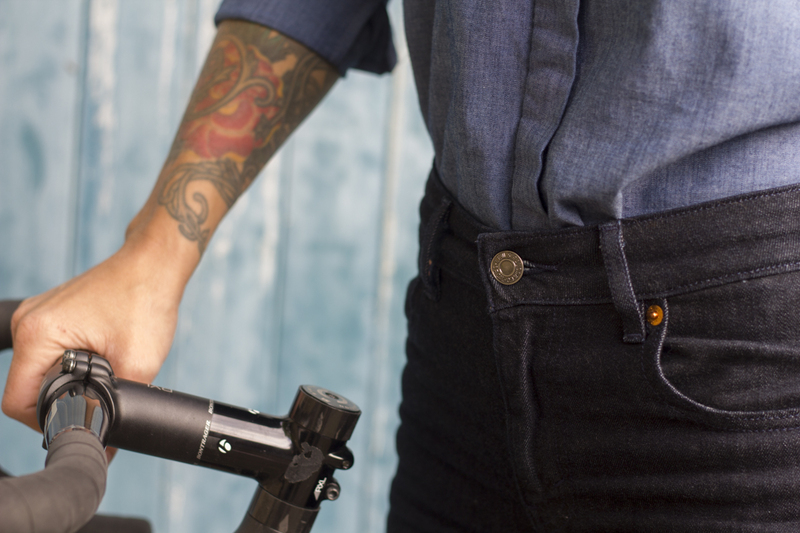 Despite my reservations, I’ve always liked Levi’s jeans, so I was pleased to get my hands on a pair of the new Women’s Levis Commuter skinny jeans this summer, because whether or not they’re good for riding, I knew they’d look good and wear well. After a few months of wearing them, here’s what I found. The Cut. They’re nice and slim in the leg and look great if you get the right size; if you get a pair that are even slightly too large they can look like ‘mum jeans,’ whereas the perfect size look awesome and are now my favourites. As they come up really big, I’d recommend trying some on before buying them – I had to go down a couple of waist sizes from what I normally am. They come up high on the backside so that your bum doesn’t hang out when you pedal, which is great because I cannot stand that! Comfort. The fabric is soft and comfortable with just the right amount of stretch to allow uninhibited movement – they’re easily the most comfortable pair of jeans I’ve ever ridden in. The waistband doesn’t dig into your stomach when you bend forwards. The seam in the crotch of the jeans is fairly soft and thin, which is great for comfort but leaves me wondering how long these jeans would last before they wore through. The Fabric. The fabric is treated with water-repellant Ecropel finishing which is meant to help water bead and roll off the jeans. Whilst they fared slightly better in drizzle than normal jeans, they’re certainly not water repellant. The Ecropel does seem to make it easier to wipe dirt off and the fabric is little lighter than regular jeans, so it breathes better. The Extras. The jeans have a strip of reflective 3M™ Scotchlite™ material sewn into the seam inside the bottom of the legs that’s visible when you roll up the legs. I like the fact it’s subtle as often this kind of thing is really overdone. Big pockets at the back fit my Kryptonite Mini-D Lock, though there’s no lock holster in the waistband like the original (men’s) commuter jeans. So my conclusion? 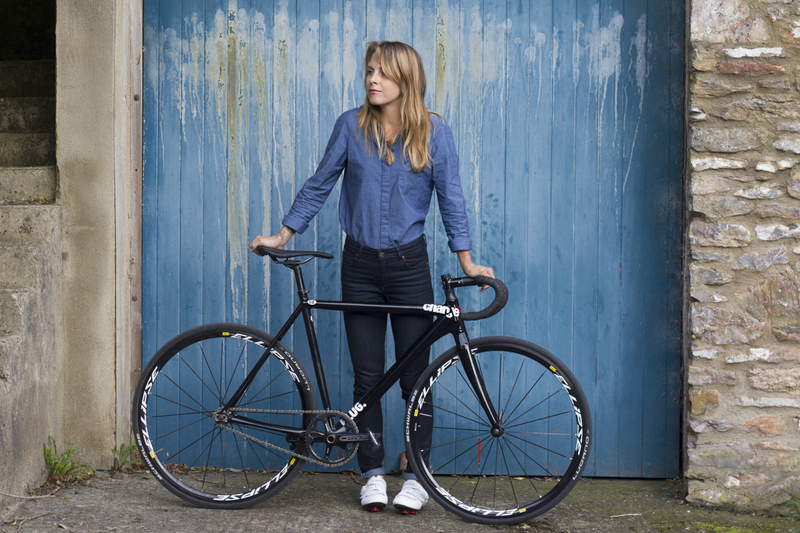 The cycling specific features are pretty minimal, so I wouldn’t go and buy these specifically for my commute, but if I was looking to buy a new pair of jeans anyway, I’d get these ones – I like the fit and they’re extremely comfortable, both on and off the bike. Available in 5 colours and priced at £85. They do look good on you, but then, pretty much anything would, I think. Not tried a pair of these yet, but heard good things about them and it sounds like they’re worth adding to my wardrobe! They look good. I hate a high waist band for digging in and also hate it when your jeans go so low on your backside that everything hangs out as soon as you sit in the saddle so I’m keen to try these – they sound great! You look awesome! I love that companies are now doing options that bridge the gap from ‘active’ to ‘looks good’ too!